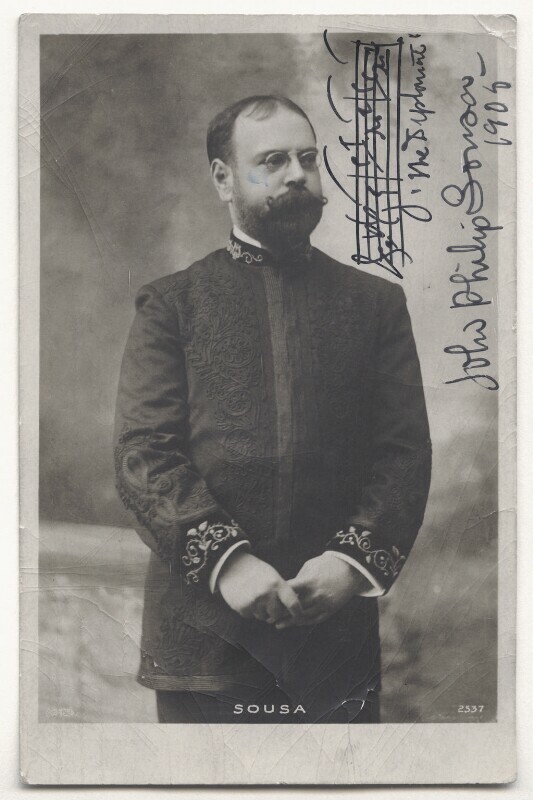 John Philip Sousa (1854-1932), American bandmaster and composer. Sitter in 2 portraits. Following turmoil over the issue of Free Trade, Balfour resigns and calls an election, believing that the Liberals will be defeated. However, he is mistaken and Henry Campbell-Bannerman replaces him as the Liberal government Prime Minister. The foundation of the Ulster Unionist Council, established to campaign against Home Rule, marks the birth of the Ulster Unionist party in Northern Ireland with the Duke of Abercorn as the first elected president. The Bloomsbury group of artists and intellectuals begin to hold informal gatherings at the home of Vanessa and Virginia Stephen. The group includes the artist Duncan Grant, biographer Lytton Strachey, and the art critics Clive Bell and Roger Fry. The German theoretical physicist Albert Einstein has his 'annus mirabilis', publishing groundbreaking papers on the nature of light and motion, including his relation of mass and energy in the equation e = mc2. Massacre of more than 100 workers at a peaceful demonstration by troops in St Petersburg becomes known as 'Bloody Sunday'. The event sparks the 1905 Revolution, with uprisings and peasant revolts in other cities, leading the Tsar to issue the October Manifesto, pledging moderate reform, including the establishment of an elected 'duma' (government), which only partially appeases imperial opposition. Still fighting Japan, the internal agitation weakens the imperial army.